MIP2020 (Hiroshima, Japan) June 22 to 26, 2020 ! Awards received by Sooraj M.P. 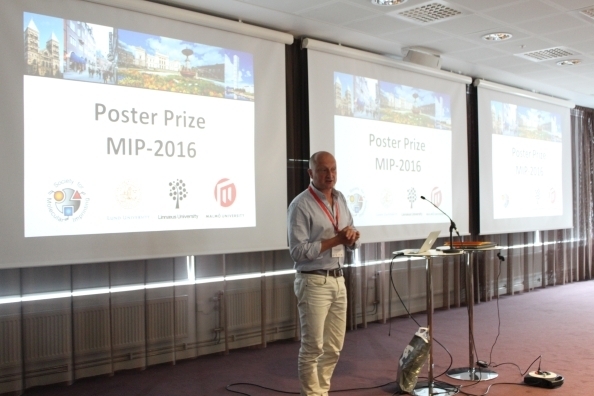 Three poster presenters receive prizes at MIP2016 - Congratulations to the winners! An important part of the MIP conference series are the poster sessions. These give the opportunity for attendees to highlight a wide range of research projects in the area of molecularly imprinted polymers and especially for research students to engage with leading scientists in the field while presenting their posters. The quality of posters was extremely high at MIP2016 which was matched by the knowledge and enthusiasm of the poster presenters. 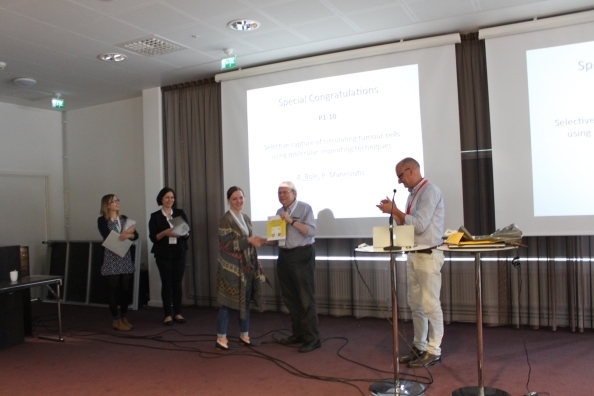 The judges therefore were given a very difficult task - to identify outstanding posters worthy of recognition with a modest prize. Faced with this difficult task a selection was nevertheless made and the posters were acknowledged with a short ceremony shortly before the closing remarks. Prof. Ian Nicholls (Linnaeus University, Sweden) chaired the ceremony. Amanda Bole from the School of Chemistry and Chemical Engineering, Queen's University, Belfast, UK. for her poster P1-10, "Selective Capture of Circulating Tumour Cells using Molecular Imprinting Techniques"
Katharina J. Jetzschmann from the Institute of Biochemistry and Biology, University of Potsdam, Potsdam, Germany for her poster P1-15, "Molecularly Imprinted Polymers for Enzymes"
Alessandra Cecchni from IMSat, University of Dundee, Dundee, UK. 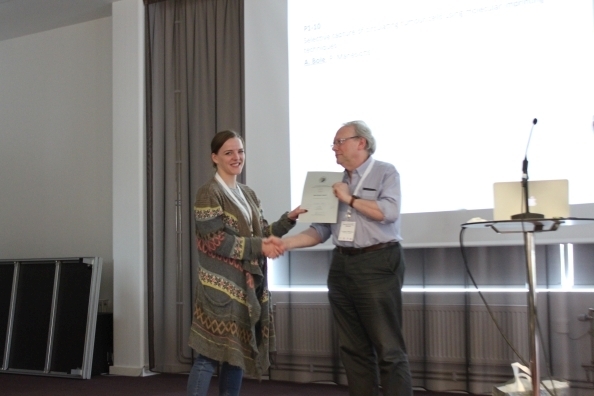 for her poster P2-33, "MIPs Coupled to Quantum Dots as Tools for the Detection of Tumour Angiogenesis in Zebrafish" Alessandra's certificate and prize were collected on her behalf by Dr. Elena Piletska. 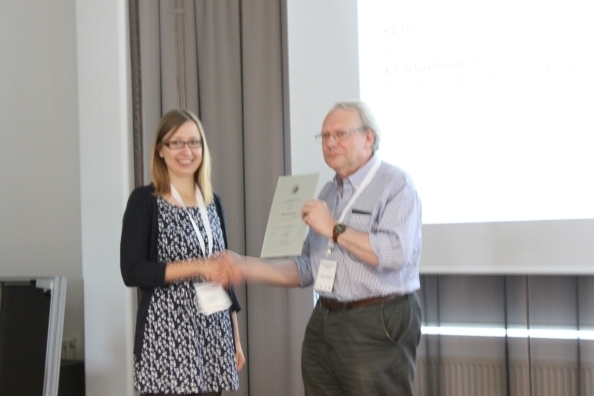 Amanda Bole was also selected to receive a copy of a book on MIP-based catalysis donated by Prof. Sergey Piletsky as the overall poster winner. Congratulations to all the poster presenters, you helped make the conference a great success! Log-in if you wish to post a comment.